The interior decor of the living room in the Quinney farmhouse. 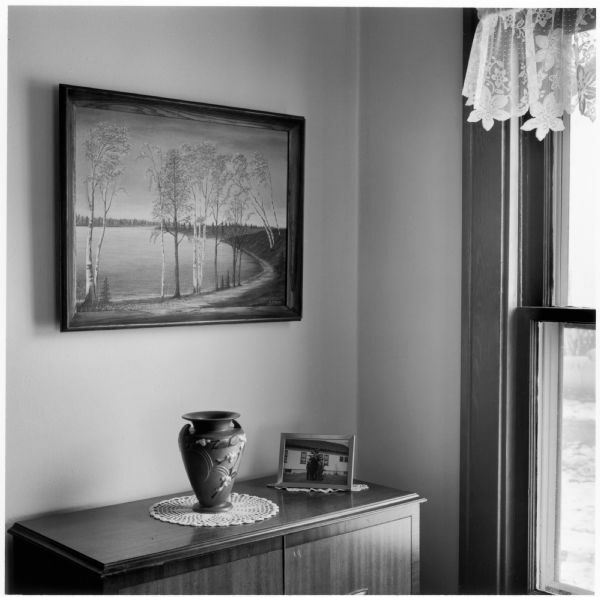 Images from "Things Once Seen", by Richard Quinney, 2008. "Where Yet the Sweet Birds Sing", 2001. Scans from prints on loan from Richard Quinney.